Thanks to this uncompromising creation, Robert Greubel and Stephen Forsey have reaffirmed themselves as authentic inventors, using the mechanical timepiece as their means of expression. The Quadruple Tourbillon à Différentiel is a blend of art and technical innovation which encapsulates the very soul of its the two creators. Transparent sapphire bridges were specifically chosen to allow unimpaired visual access to the perfectly choreographed aerial ballet of the four Tourbillons. 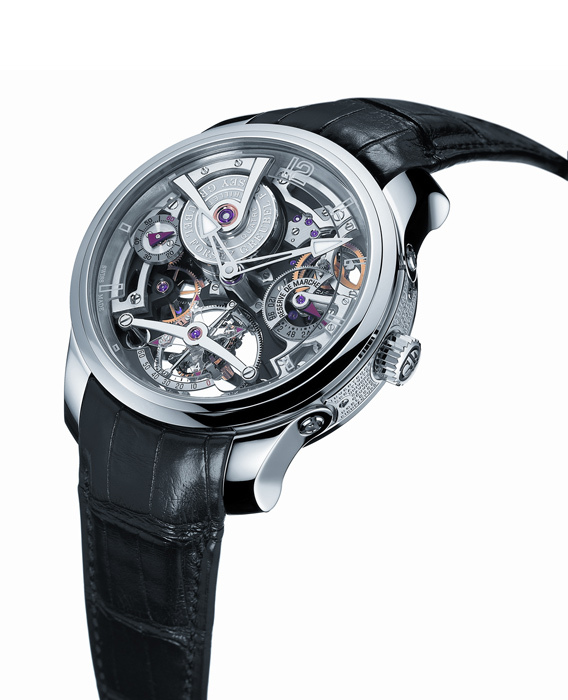 Robert Greubel and Stephen Forsey have engineered the four Tourbillons together in a contemporary design, in which elegance and harmony are the dominant features. 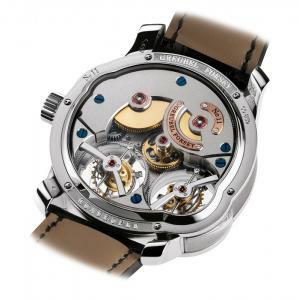 In the same spirit, and owing to the impressive number of parts which make up the movement, an asymmetrically-shaped case was chosen. 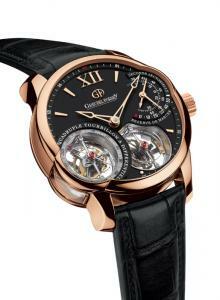 The asymmetrical form was also an aesthetic tribute to the asynchronicity of the four Tourbillons. 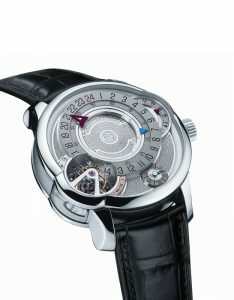 To complement the homogeneous ensemble, the displays of the small second and the power reserve dials are semi-circular. With its sophisticated coalescence of technical Invention and artistic design, the Quadruple Tourbillon à Différentiel encapsulates the best in fine watchmaking. Wearing a Quadruple Tourbillon à Différentiel is to enter the universe of Robert Greubel and Stephen Forsey, and to share, appreciate and be empathetic to the essential values emanating from their Invention.